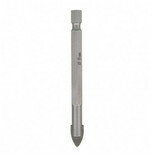 6mm Drill Bit for drilling glass or tiles. 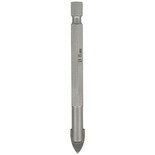 This TCT drill bit can be used on glass, porcelain, tile and mirrors. 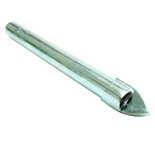 Not for use on toughened glass. 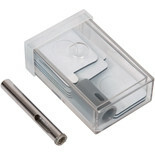 A coolant must be used. 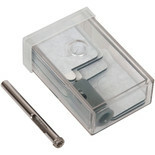 TCT drill for use on glass, porcelain, tile and mirrors. 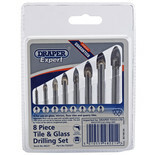 The Draper TGDSET Tile and Glass Drilling Set is designed for use on glass mirrors, floor tiles and quarry tiles.